Creating a successful fix and flip business can be incredibly rewarding, provide schedule flexibility and the financial freedom that nearly all of us desire. But can it really be done or is the promise of saving for retirement, spending more time with family and making money from a rewarding career just an illusion? The market is primed for fix and flip businesses. This largely stems from what some refer to as “the graying of America”. There are millions of senior citizens who have lived in their homes for 30 years or more. They are looking to transition into the next phase of their lives. Perhaps that is a house closer to their kids or grandkids, a lifestyle community, or simply a smaller property or assisted living community. These folks want a fair price for their home and an easy transition. They also want to know that the integrity of their home will remain intact and continue to add character to their neighborhood. After all, they’ve known their neighbors for decades and want to leave their home in good hands. On the buyers’ side, the millennial generation is beginning to start families and want to own a home in a safe neighborhood with a great school district, parks and trails nearby. After a slow start to their careers (thanks to the recession), this group has their personal balance sheets in order. For the first time in a long time, there are meaningful down payment assistance options for first time home buyers with a good credit score. In many instances, this means a conventional mortgage with just one percent down. When you compare this to how apartment rents are rising across the country, owning a home is now a great option. Based on our market experience, we strongly believe that these demographic trends have 15 or more years to go. As long as people continue to get older, millennials start families and want to buy homes, and mortgages remain affordable, you can create a successful and sustainable fix and flip business! Over the past decade, we’ve completed hundreds of fix and flips. Our average net profit in just the past two years was $41,000 per property. Some of our real estate investments were much more successful than we thought they would be, while others proved to be great learning experiences and helped us learn the house flipping mistakes to avoid. Throughout our journey, we researched and sought in-depth fix and flip education. We attended real estate investment seminars from people like Than Merrill, Scott Yancey, Hilary Farr, and Tarek and Christina El Moussa. We left feeling frustrated and defeated by these sessions. The courses offered a low introductory fee, but then included a high pressure upsell for coaching and extended sessions. We heard price tags ranging from $20,000 to $60,000! Because of this frustration, we built processes and best practices from the ground up on our own. We painstakingly built the spreadsheets, inspection templates, investor documents and other necessary tools to become experts in our field. Once we tested our house flipping system in the real world, we decided to take it a step further. Our ethical, passionate and experienced fix and flip pros are ready to share our knowledge with people, like you! Our goal is to remove the fear from flipping houses by providing what you need upfront. 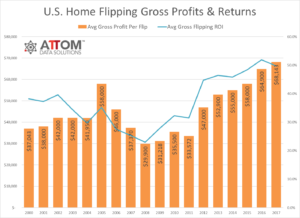 We walk our members through setting up a house flipping business, finding funding, purchasing a property, renovating it and selling it for profit without all the smoke and mirrors. Through our unique community model, we only succeed if you do! No huge upfront fees. To answer this question, we created Fixters Academy. This completely affordable house flipping education program teaches you how to start, manage and profit from your fix and flip business. When you are accepted into our exclusive member community, you get hours of online step-by-step instruction, the tools and documents needed to manage deals, one-on-one coaching, access to up to 100% funding and deal review with our team. The best news? If you attend the first course and decide it isn’t for you, we’ll give you your money back. What have you got to lose?! The real difference is that Fixters is not just house flipping theory — it is practical, real-life coaching each step of the way. Have a potential deal? Call your coach and do a review to determine its viability. You also get access to our proprietary house flipping software so that you can keep your first, second and 100th house flips organized, on time and on budget. Need more information? Register for our FREE webinar, Removing the Fear from Flipping Houses, and get insider information and tips on how to start your house flipping business. Your future is waiting. You can’t afford not to check it out.